Gyokuro- Ok dearies, as far as Japanese teas go, I’m sure most of you have tried Sencha, matcha, and possibly genmaicha. But have you tried gyokuro? This tea is a little more expensive than the others, but it has a wonderful flavor that many call ‘umami’. A good gyokuro almost tastes like broth and has a pleasing sweetness. The tea is different from other Japanese greens because it is shaded before harvest. The shading causes the tea plants to reduce their rate of photosynthesis and the result is that special umami taste. Dearies, I’d love to know who discovered this method of cultivating tea, wouldn’t you? If you are interested, you can learn a little more about Japanese green teas in my post here. White Tea- White teas are very versatile. Young tea buds and leaves are plucked in spring, then withered and dried. They are just barely oxidized as well. White teas have a range in quality, so it’s important to try a few different varities. The various types of white tea have different flavor profiles but they all have a nice freshness since the leaves are so young and fresh. Look for Silver Needles and White Peony white teas. They definitely are unlike any other kids of tea. Learn more about white teas and their flavors in my previous post here. Puerh- If you’ve had a puerh, you’ll definitely remember it. This is a fermented type of tea from Yunnan that comes in two main categories: ‘sheng’ which is the raw puerh that ages slowly over time, and ‘shou’ which is aged through a more rapid human-controlled process. Since Puerh is an aged tea, you can keep it for years and if stored correctly it should get even better with age. In fact, Kat has a shou puerh that dear Char brought back from Yunnan many years ago. High quality sheng puerh can be very expensive, especially when it’s an older vintage. This is because the aging process is controlled, and requires a skilled artisan to get it just right. A good sheng can be sweet and grassy,if young, and woodsy and slightly leathery if older, and also a bit bitter. Shou puerh is created with just the right conditions of moisture and heat to rapidly ferment the tea. Because it is produced more quickly, it is more affordable. It has a much more pungent flavor with a dark, thick brew. Puerh can be a bit of an acquired taste, but Dearies there are many people that go crazy for it! They collect it, trade it, and drink it daily. Why not give it a try? Finally, there are so many herbal blends out there that are far different from things like mint and chamomile. Try turmeric, lemon verbena, basil, and tulsi! Herbal teas are all very different, and can even be fun to blend. You can even try them iced, they are quite refreshing any time of year. Dearies, this is a New Year’s resolution you can stick to! Just pick a few teas and get tasting. How simple is that? Happy steeping! Dearies I know we’ve talked about Green Teas quite a bit, but there is one in particular that is a Chinese staple with an interesting story, Longjing. This tea’s name translates to ‘dragon well’, and is grown only in China’s Zhejiang province. Why is this well-loved tea called Dragon Well? It all goes back to the legend! There are actually a few different versions of the legend, but in my favorite version, a Taoist monk discovered a dragon hiding in an old well. The season had been in drought, and once the villagers learned of the Monk’s discovery they prayed to this dragon to bring the rain and fill the well to capacity. After the prayers, it started to rain! This water flowed from the well and nourished the surrounding tea is grown. The tea itself has a flat needle-like shape with a lovely jade green color. This tea is pan-fired which gives it a nutty taste (it often reminds me of chestnuts) with a fresh vegetal aroma. It also has a cooked veggie flavor which we often associate with green beans. The tea is nutty, vegetal and sweet. The quality of longjing depends on when it was harvested. The earlier in the spring, the more expensive the tea will be. For the highest quality, one leaf and one bud is picked. These young leaves and buds create a very gentle, fresh and tender flavor for the tea. The highest grade leaves are pan fried in small batches in a wok. They needed to be heated as soon as possible to prevent oxidation. The pan-firing technique creates the lovely nutty flavor you taste in the tea. The leaves are pressed to the sides of the wok to make sure they are properly dried. This also creates the flat needle-like shape of the finished leaves. If your tea leaves have an even color to them, you know they were dried very well, to make sure the heat was even for the whole batch. Lower grades of longjing are also pan heated but usually in large revolving drums. The teas that are machine roasted are still quite delicious and more affordable. As with many coveted teas, longjing can be ‘faked’. You may not be getting spring harvested tea, or tea grown in Zhejiang. The best way to tell is use your eyes and mouth. Does it look like a vibrant green tea? Does it smell and taste like early spring? Veggies and chestnut? It is smooth and gentle or is it bitter? If you taste enough good quality longjing you will know what to look for. As always dearies, it’s about tasting, tasting, tasting! To brew your longjing you can use a gaiwan, or a small teapot. My favorite way is to just add the leaves right in the water using either a bowl style cup or tall glass. Just keep filling up your vessel with hot water as you finish it, re-steeping those beautiful leaves. This is the way it’s commonly consumed in China. Dearies no matter how you steep it, it’s a beautiful tea. If you try it you’ll understand why it’s so revered in China. Happy Steeping! Dearies, I’m just so tired of this cold weather, aren’t you? Just when I thought I couldn’t take any more of it, I noticed a few green shoots sprouting in the garden! Spring is ready to burst forth, and I can barely wait another minute! I’ve decided to round up a few lovely floral teas to properly welcome springtime. What could be better than looking at the budding flowers while sipping on a lovely floral tea? Bring a bouquet into your cup and the winter weather will feel lightyears away. Jasmine tea is a perfect choice to melt away the frost. The sweet, delicate jasmine combined with grassy green tea will bring you right to a sunny meadow with the dainty white flowers. Close your eyes, breathe in the intoxicating floral aroma. You’ll feel as good as new! Rose teas are also a wonderful choice. I adore Kat’s rose garden and the scent always uplifts. Sometimes she’ll set a little table in front of her trellis of roses and we’ll enjoy tea in the sunshine. A sip of rose tea will make you feel like you’re right in the garden. I enjoy green teas scented with rose, and you can often find teas with the rose petals mixed right in. It’s beautiful to look at and to drink. It would also work well as a potpourri. I’ve also seen rose as a tisane, all on its own. Chamomile is a springtime favorite for Kat. She has many different chamomile choices in her cupboard, and her newest favorite is called Cool Chamomile from British company Dorset Tea. Kat’s friend Jocelyn moved to England a few years ago and always sends her teas she can’t find in the states. This chamomile from Dorset is one of Jocelyn’s favorites and now Kat is obsessed with it as well. The soothing sweet chamomile is accented with tangy raspberry and lemongrass for a unique and delicious tea. The lemongrass makes me think of those bright green early spring shoots that are sprouting up all over the garden. This combination is bright, yet relaxing. Kat often has this tea in the evening since it’s herbal and won’t keep her awake. She also has been making it iced, as a refreshing sunny sip to keep those winter blues away. It’s the perfect tea to welcome spring! 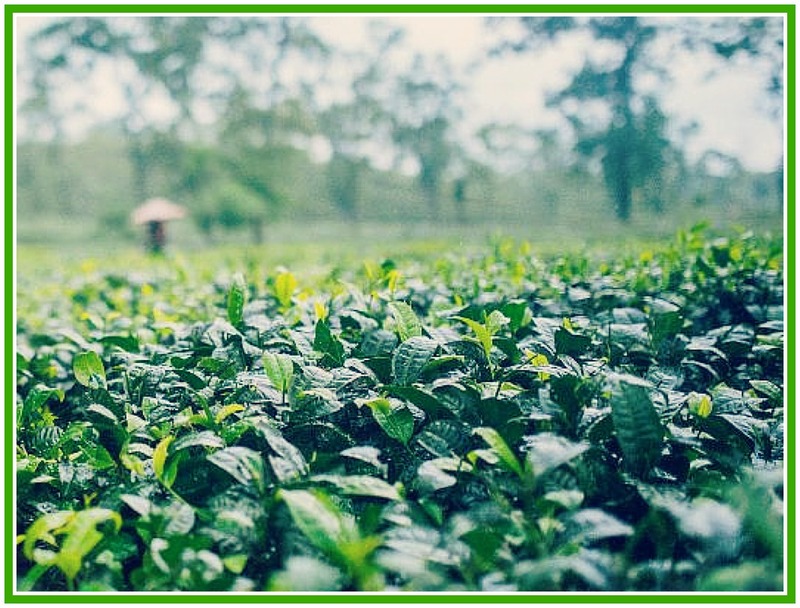 Springtime is also when the new harvests of teas start to arrive at your favorite tea shop. Be sure to ask for the spring green, oolong, white, and first flush Darjeeling teas. They will be fresh and vibrant, and perfect for your cup. I just adore Paris. The cafes, the perfectly charming streets, the art, and the food! 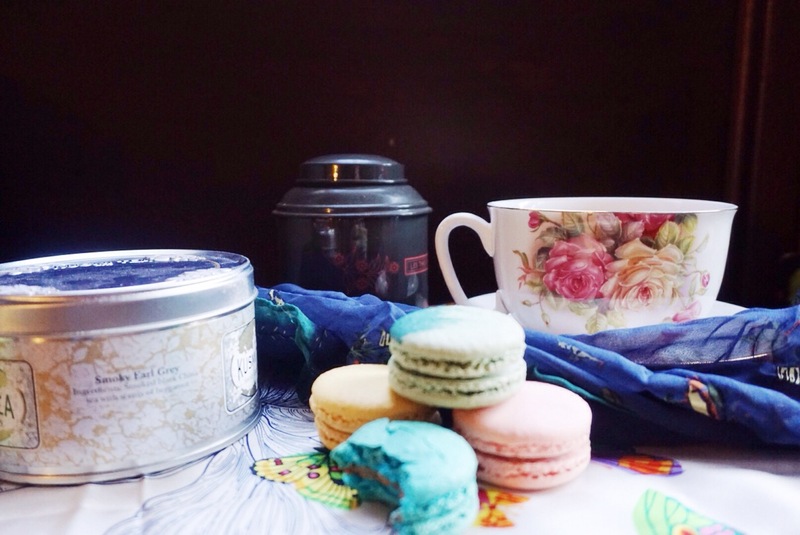 Dearies, did you know that Paris also has wonderful tea shops? When Kat and I were traveling through Paris, we were amazed at the tea rooms, and tea shops we’d see as we strolled through those magical streets. We were happily surprised to see signs for ‘salon de the’ (tea salon) in many shops. Our host family even offered us herbal teas (referred to as tisanes or infusions) every night after dinner. Our host mentioned that many French folks enjoy tisanes for their digestive properties and calming effects. The fruit and herb combinations vary based on region. Dammann Frères: This is a quaint shop that delights the senses. The retail shop was established in the 1920s and the gorgeous wood details in the shop look as is they have many tea stories to tell, as does the Beautifully designed with walls of tea tins. Their teas are harder to find in the US, but a quick online search will result in a few different options. Mariage Frères: This beautiful shop is perfect for afternoon tea in their sunny salon. They have an extensive tea and food selection to choose from. They serve tea in beautiful pots with picture-perfect teaware. The store was established in the 1850s and every last detail is steeped in history. Oh, I so want to go back!! I’m dreaming about inhaling the gorgeous scents from their tea blends. Their teas can be found in a few various stores in the US, and online. Palais des Thés: This shop is a bit more modern than Dammann and Mariage Frères. They also have retail shops in the NY, and I’m sure more are soon to come. They have an extensive US website as well. I adore their herbal and fruit blends. They have an extensive line of signature blends. Kusmi: I love the fancy blends at this shop! They now have retail shops in the US, and it is easy to find online. The decor is simple here, they let the teas speak for themselves. They have a blend for just about every moon and occasion. They were originally a Russian company and have some very interesting Russian blends. Back when I had tea adventures with Char her steeps were timed with a clock or wristwatch, and she’d write her tasting notes in a little blue notebook. She’d never be without that notebook! It was worn and loved, filled with her tea tasting memories. Kat has a similar notebook for her own tea notes, but she’ll often forget to bring it with her when she goes out. I am a very helpful teacup, but I can’t always remind her to take it! I have so many things to focus on, like tea inventory, and keeping the soup pot away from the frying pan. Those two really like to bicker. The other day Kat came home in a rush, all excited to tell me about a tea app for her smartphone she had just learned about. There was a tea-tasting at the local grocery store and the woman preparing the tea used an app on her phone to time the steep. Kat was excited and they chatted about various apps that can be used to steep, track the teas you drink, and record tea notes! This is a wonderful idea, especially for someone like Kat that is always with her phone, but rarely remembers that notebook. Tea ($1.99) – This is an app that encompasses many different useful features. The app has a tea timer based on type of tea you are steeping and also a place to write notes and rate the tea. It also suggests the appropriate water temperature for the steep. If you don’t agree with the suggested time and temperature settings, you can add your own. It also has a ‘tea encyclopedia’ where you can look up information on various teas, where they are grown and processed, and get steeping tips. The app offers an interesting feature that tells you how much tea you have left in your package after each session, if you enter in how much you started with before your first steep. Camellia Tea Timer (free)- This is a basic app that is simple yet effective. There are 7 preset types of teas with steeping times and temperatures (you can manually add more teas if you’d like to). You can edit the info on each tea if you don’t agree with the time/temp presets. You can’t make any notes, but it’s a handy app to have when you’re out and want a timer for your tea. Aromatic– ($1.99) This app has many different teas to choose from and describes the growing regions with pictures and maps. You get a timer, and a helpful tea glossary but no room for tasting notes. Tea Forte Tea Timer (free)- This one can be used with any tea, but is geared towards the brand’s own blends. Still it has a useful timer, and some fun cocktail recipes. 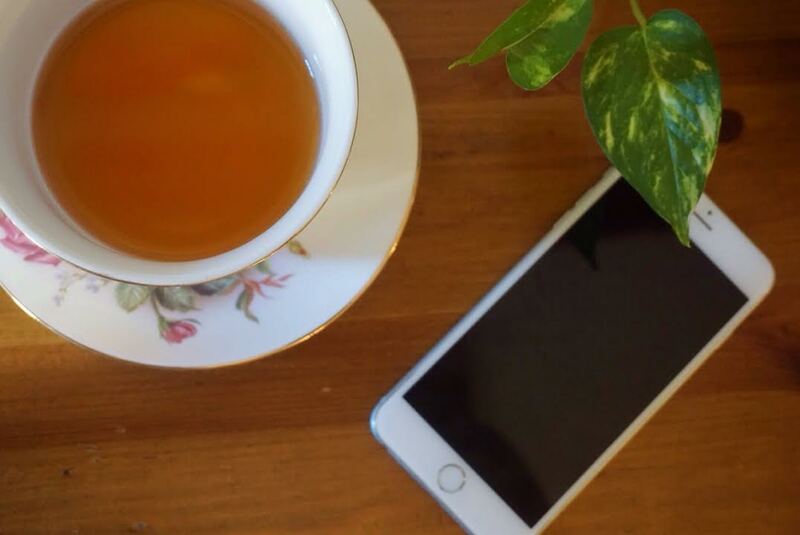 While Kat was searching for apps, she also found a few tea-themed games for her phone! If you’re looking for a little entertainment there is a game where you can plant, grow, process, and sell your own tea! It’s called Tea Firm: RePlanted (free). There is also My Tea Party (free), a game where you can plan your own tea party. I think I’ll have to give that one a try sometime. Although it would be strange to have someone serve tea to me! I like to do all of my own steeping. Are there any helpful tea apps that aren’t listed here? I’d love to learn more about them! Do let us know in the comments. There’s nothing like a glass of iced tea on a Summer’s Day. Or in Char and Kat’s case, a Lovely Cup of iced tea! I find it interesting that in general, the standard iced tea is made from black tea or a black tea blend. But dearies! 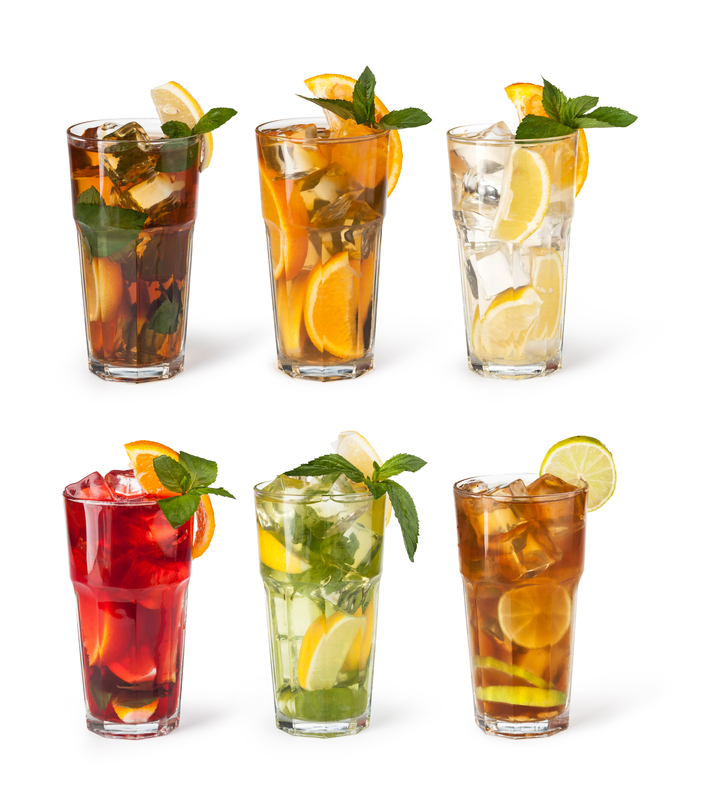 There is such a wider spectrum of iced teas to be enjoyed! The brightness of green teas can make a delightful iced beverage. In particular green tea blends can be a very refreshing alternative to black tea. Try Fresh and Easy Mint Green Tea. Brew as directed for a pot of tea, cool, then pour the light, yellow-green tea into a pitcher and chill in the refrigerator. Once cold, pour over ice and top with a sprig of mint. What Kat loves about this green tea blend as an iced tea is that the flavor is smooth and summery with the mint feeling like an ocean breeze to her taste buds. It looks and tastes divine! White tea is often described as “delicate,” but a good white tea blend with fruit notes can be a luxurious iced tea that makes you feel like you’re relaxing at the spa! Kat likes Fresh and Easy Pomegranate White Tea with a twist of lime. Don’t let the light color of the steeped tea fool you. This iced tea literally dances on your tongue! The tang of the lime contrasts beautifully with the light tartness of the pomegranate. The refreshing delicacy of the white tea is highlighted with the And if you are looking for a little extra sweetness, stir in a little sugar to take it to a whole new level! If you enjoy fruit influenced beverages, this is one you won’t want to miss. Herbal teas make a lovely caffeine-free iced option. Kat prefers some of the bolder herbal flavors such as peppermint or hibiscus. Her current go-to is Fresh and Easy Hibiscus Herbal Tea. The deep, ruby color of this brew is as festive as it is delicious! The tartness of the hibiscus is balanced with a sweetness of cinnamon and orange. This is no run-of-the-mill iced tea. This is an iced jewel! Once it is chilled, Kat adds a slice of orange to enhance its sunny, citrus flair. Don’t fall into an Iced Tea rut. Open your taste buds to a brave new world of iced tea options. Experiment, add herbs or fruit or even a cinnamon stick. I just know you’ll love what you discover! It seems that “White Tea” is more common these days. There was a time when Char and I were travelling in China, and we would enjoy white tea regularly but couldn’t find it anywhere when we finally journeyed home! Today, though, there seems to be a surge in its popularity, and now it is easily accessible around the world. There are many who believe white tea is the world’s earliest tea. Because the process mostly involves natural drying, it makes sense this could be the case. By drying the buds and small leaves, they could be stored for future use. There are even written documents about white tea from as early as the 1100’s, during the great Song Dynasty! As with all true tea, white tea is from the Camellia Sinensis bush. So, what makes it white tea, as opposed to green, black or oolong? It begins with the plucking. Only the buds or the buds and the youngest tea leaves are used for white tea. In fact, one of the reasons it is called “white” tea is due to the silvery hairs that are found on the buds that turn white during the drying process. These tender buds and leaves are slowly dried using low temperature hot air ventilation. The result found in your tea cup is a pale yellow, very delicate, mildly sweet, refreshing brew. What white tea would you like to try?